12. Book Cinderella’s Royal Table first—and by phone. 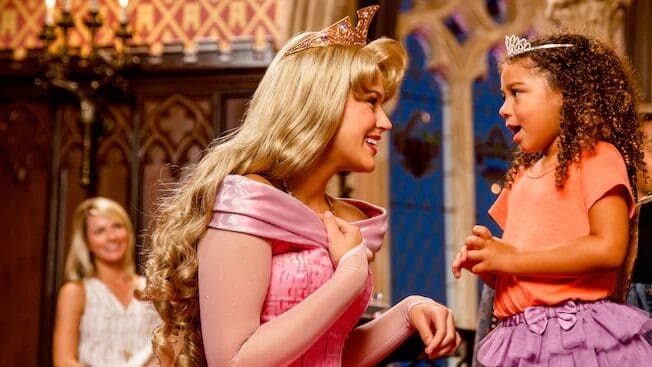 If you have been dreaming of taking your little ones to Cinderella’s house for dinner, you will need to make securing a reservation your top priority on the day the reservation window opens. Meals at Cinderella’s Royal Table restaurant are the most sought-after “reservable” experiences at Disney World, and it doesn’t help that the restaurant has one of the smallest dining rooms on property. The seating capacity is only 130, which limits the number of reservations that are available in the first place. Because of its popularity, the only way to make a dining reservation at Cinderella’s Royal Table is over the phone with an agent. You will want to begin calling 10 to 15 minutes before the phones open on the day the reservation window opens, which is usually around 7:00 a.m. EST. If you are lucky enough to get a reservation, know that payment for your meal is due at the time of your booking. This restaurant books to capacity almost instantly once the 180-day reservation window is open. If you don’t get in on your first try, consider adjusting your park itinerary and trying again for another day during your trip. Call (407) WDW-DINE for assistance with your dining reservation.